Following the listing ceremony at the IDX Building Main Hall, which also attended by the Presidential Chief of Staff, Moeldoko, the DIGI share price moved up 70%. 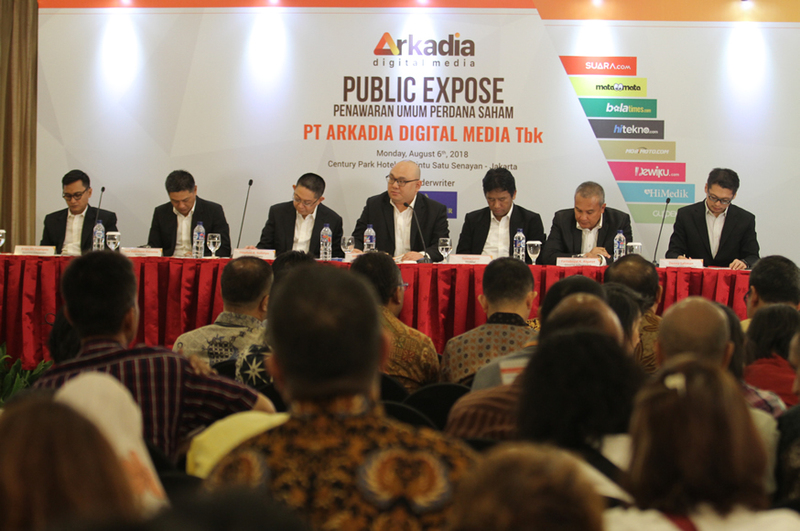 Public Expose, PT Arkadia Digital Media Ready to "Go Public"
Through the IPO, PT Arkadia Digital Media is offering 54.55% of its shares, and expecting to gain fresh capital between Rp 20 billion to Rp 40 billion. Suara.com has been involved in the IndonesiaLeaks program since the initiation several months ago. 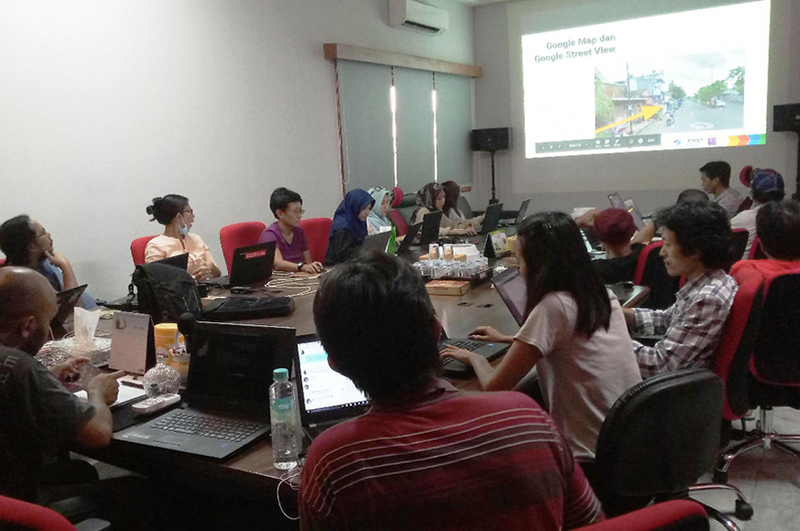 Journalists and writers of all Arkadia editorial teams, both in Yogyakarta and Jakarta, were enthusiastic to have the short training sessions. 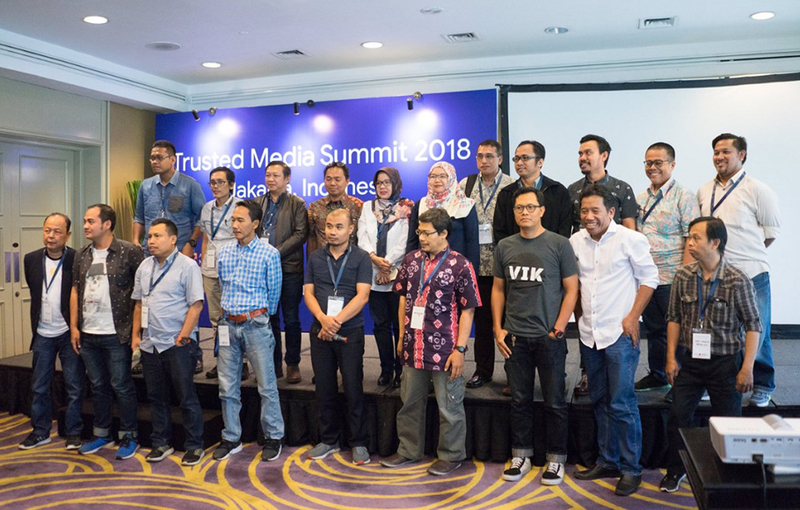 The launch of CekFakta.com was done in a big seminar and training called "Trusted Media Summit 2018", held at the Gran Melia Hotel, Kuningan, Jakarta, on Saturday, May 5. 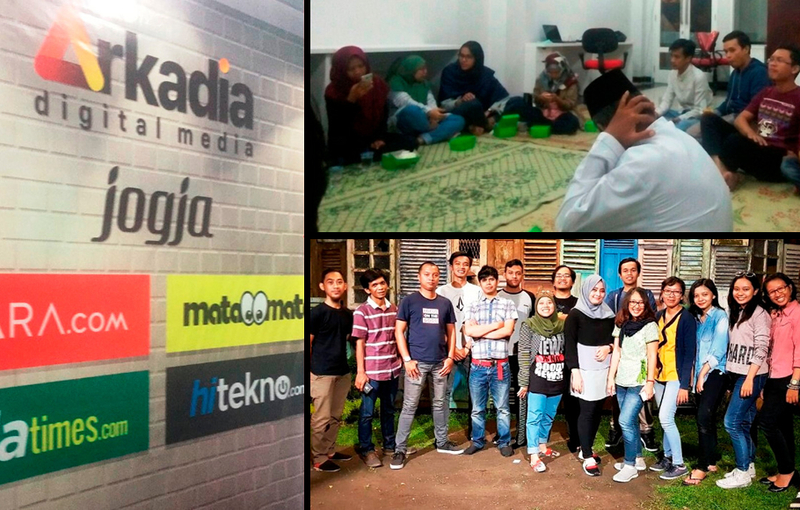 Suwarjono explained that the three new portals are specifically targeting millenial generation of readers. While being new, he expected the three media can follow the success of their predecessor, Suara.com, in fulfilling the need of the readers. The 3 new portals are Matamata.com which has all about entertainment contents, Hitekno.com that specializes on gadget and technology, and Bolatimes.com that specifically focuses on football.